A young practitioner of black magic from Witch-World, Klarion came to Earth with his cat familiar Teekl where he frequently battled Etrigan the Demon. Klarion would be re-imagined in 2000 during the event Young Justice: Sins of Youth. Contessa Erica Alexandra del Portenza, supposed centuries old ex-wife of Lex Luthor and leader of Project Cadmus’ genetic laboratory rival the Agenda, employed a more whimsical variation of Klarion (so far as to insist to be called “Klarion BUM-BUM-BUM the Witch Boy”) to increase public pressure that observed young heroes as reckless and dangerous. To this end, adults were transformed into youths and vice versa. Klarion would undergo a third transformation for Grant Morrison’s ambitious Seven Soldiers (2005) as a young resident of the underground city Limbo Town, descended from Puritan witches of Roanoke and the Sheeda race and called Submissionaries, that escaped to the surface and through a series of events develops the ability to turn into a monstrous Horigal (a gestalt of Submissionary and familiar). 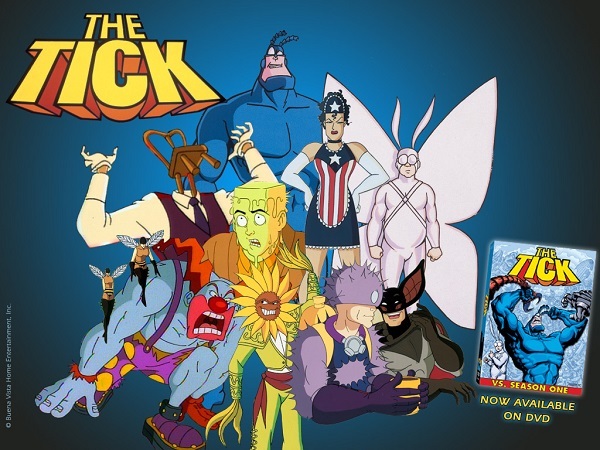 The New Batman Adventures featured Klarion the Witch Boy’s first television appearance facing his familiar foe Etrigan the Demon. He next appeared in Cartoon Monsoon where he battled Zatanna. 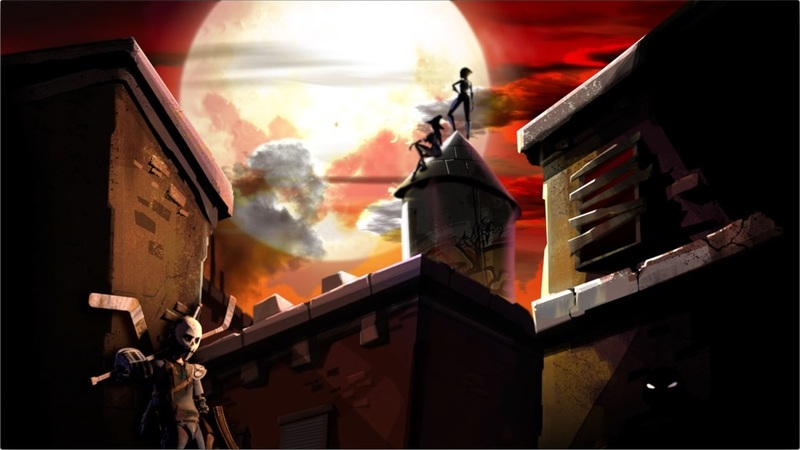 In Young Justice, Klarion has been re-imagined as a Lord of Chaos with his familiar Teekl as some anchor to that reality (in turn, becoming his greatest weakness). Klarion maybe the most dangerous member of the Light’s ruling council, described by Doctor Fate as a force of nature that can’t truly be defeated. Underlings seen under Klarion have included Abra Cadabra, Wotan, Wizard, Blackbriar Thorn, and Felix Faust. Introduced in 1940 as a brilliant scientist that did battle with Batman, Hugo Strange traded blows with the Dark Knight a handful of times before a long absence until 1977 when he returned in the critically-acclaimed Strange Apparitions arc of Detective Comics where he learned the secret identity of the hero. Following Crisis on Infinite Earths, Strange was instead a deranged psychiatrist raised in Hell’s Crucible (near the famed Crime Alley) tasked with assisting the police in capturing Batman, becoming obsessed with him and eventually discovering Batman is Bruce Wayne. Dabbling in genetics, Strange was able to turn men into Monster Men, hulking cannibals that obediently did his bidding. In a similar fashion to Ra’s al Ghul, Hugo Strange premiered in Batman: The Animated Series and frequently appeared in the Batman series to follow including Justice League Unlimited, The Batman, and Batman: The Brave and the Bold. He would star in Batman: Arkham City, one of the most successful games released in 2011 (and of all time up to that point), as one of the video game’s main antagonists. Chosen as Ra’s al Ghul’s successor following Batman’s refusal to take the role, Strange manipulated Gotham City’s people into constructing Arkham City, a section of Gotham quarantined for its criminals and severely mentally disturbed (as well as those Strange deemed too dangerous to remain free), as a pilot program for the United States. His plan was to eliminate the heroes and villains of Gotham to prove his worth to al Ghul in addition to the project’s expansion to effectively eliminate the country’s heroes and villains as part of his mentor’s scheme to eliminate humanity. As for Young Justice, Strange acted as the psychiatrist at Belle Reve, the United States’ premier prison for super-villains. During a breakout attempt that nearly saw the facility emptied of its occupants, warden Amanda Waller was stripped of her position and the role fell upon Strange. As an agent for the Light, Hugo Strange can supply any super-villain in his custody for the needs of his masters without the Justice League any the wiser (with the villain Icicle, Sr. acting as the prison’s community of rogues’ leader). Nobleman of the small eastern European country of Vlatava and nemesis to Green Arrow, Count Werner Vertigo was born with an inner ear imbalance. To correct it, an implant was installed that had the side effect of permitting Vertigo the capability to off-balance people and computers. Vertigo attempted to reclaim his family’s royal jewels his parents sold to escape their country to England during World War II. In the attempted theft, the displaced nobleman came into conflict with Star City’s Green Arrow, beginning a life long battle between the two. After years of being involved in battles between superheroes and villains, Count Vertigo would eventually reclaim his birthright as the king of Vlatava only to see his entire nation wiped out by the Spectre. For a time afterward, he returned to America as a villain affiliated with the Injustice Society and the Society. Eventually, he ended up working under Amanda Waller in Checkmate (having previously worked alongside each other as part of the Suicide Squad) and reformed as one of her most trusted aides. Making appearances in Batman: The Animated Series and The Batman, Count Vertigo makes his premier in Young Justice as part of the Injustice League, proxies employed by the Light to make the superhero community falsely believe they eliminated the secret society of super-villains they perceived was behind many of the challenges the teen heroes faced thus far in the television series. 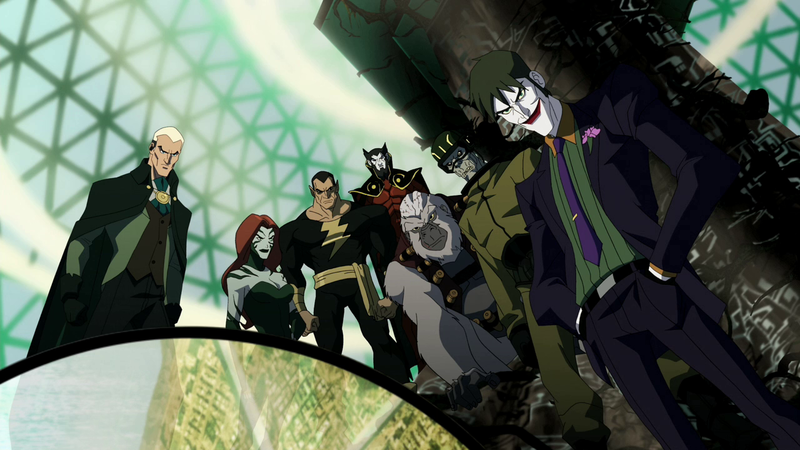 Greg Weisman has stated some members of the Injustice League were aware of their role as a misdirection for the Light (as others were completely ignorant of the group’s existence) but did not elaborate. Since the group’s incarceration, Wotan and Vertigo have re-emerged working for the Light (the latter teaming with Vandal Savage in a bid to inherit the throne of Vlatava from Vertigo’s ten-year old niece who desperately required a heart transplant). While Vertigo avoided imprisonment for his involvement with the Injustice League due to diplomatic immunity, he would go to Belle Reve when his niece learned of his treachery and excommunicated him. A clone made by the Agenda, a rival genetic research organization to Project Cadmus that folded Darkseid’s Evil Factory on Earth into their consortium, of Superboy using DNA harvested from the hero when he was kidnapped by their agent Amanda Spence (daughter of Cadmus’ executive director Paul Westfield). However, despite seemingly being physically superior to Superboy, inevitably Match’s cellular structure broke down making him resemble Superman’s imperfect double Bizarro (Match going so far as wearing a shirt with Bizarro’s reversed S-Shield). Match would meet his end at the hands of Superboy-Prime (Superman of Earth-Prime), who had his body reverse-engineered in order to make three doubles of Superboy that fought alongside the Legion of Doom against the Teen Titans. Making his television premier in Young Justice “Agendas”, Match is a fully Kryptonian clone of Superman produced by Project Cadmus under the Light that proved uncontrollable due to the complex structure of the alien’s make-up. Buried and left to develop what would became Superboy, employing human DNA from Lex Luthor, the villain would contact Superboy to inform him of his “brother.” The staff at Cadmus, including its new executive director Amanda Spence, claimed to have no knowledge of another Superman clone. When the hero uncovered Match, the two battled and eventually Superboy was forced to employ a device given to him by Luthor that gave him full access to his Kryptonian abilities for one hour (as well as giving the villain a means to track him) to defeat his fellow clone. Allusions to other villains were also displayed by Match including burning Superman’s S-shield into his chest ala Superboy-Prime and this resulting shield being backwards ala Bizarro.